Rev. 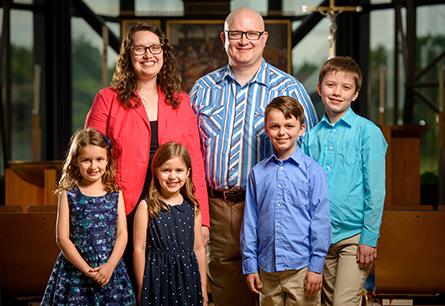 James and Angela Sharp serve the Lord as missionaries of The Lutheran Church—Missouri Synod (LCMS) in Uruguay. James plants new churches and works to support mercy outreach projects around the country. 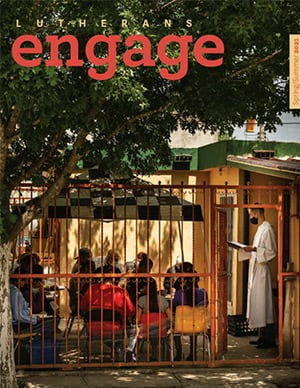 Through Word and Sacrament ministry, he partners with local church leaders to form and develop groups of believers into mature, self-sustaining and self-replicating congregations. James also teaches Lutheran theology courses to help train individuals in the Lutheran faith and to develop local leaders to carry on God’s mission. Angela focuses on education. She teaches English-as-a-Foreign-Language (EFL) classes to people of all ages. She organizes, directs and provides content for Sunday schools throughout the country and conducts workshops for training new teachers and educational leaders. James and Angela also seek to build relationships through Bible studies and other community activities. Through these interactions, they are given opportunities to share the Gospel. James was born in East Moline, Ill., where his home congregation is St. John’s Lutheran Church. 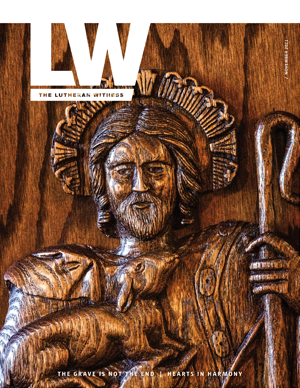 He earned a bachelor’s degree from Concordia University Chicago, River Forest, Ill., and received his Master of Divinity from Concordia Seminary, St. Louis. During his time in school, he studied as an exchange student at Seminário Concórdia, São Leopoldo, Rio Grande do Sul, Brazil. Before becoming a missionary, he served in three Lutheran high schools and, most recently, as a dual parish pastor at Nazareth Lutheran Church, Baltimore, Md., and Christ Lutheran Church, Dundalk, Md. Angela was born in Denison, Iowa, where her home congregation is Zion Lutheran Church. She received a bachelor’s degree in secondary education (focus areas in math and English) from Concordia University, Nebraska, Seward. Before heading to the mission field, she taught at Baltimore Lutheran School, Towson, Md. James and Angela enjoy spending time with their four children - Elias, Ambrose, Callida and Magdalyn. Pray for the Sharps as they serve in Uruguay. Pray God gives them wisdom as they navigate cultural differences. Ask God to guide them so they may effectively communicate the Gospel in this secular country. Pray for the Sharp children, that they would grow in their faith in Jesus despite living in an unbelieving country. Ask God to give His peace and strength to their family here in the United States who love and support them but miss them as well. Learn more about the work being done in Uruguay and in the Latin America and the Caribbean region. Giving Online: You can support this family’s ministry by giving online.